(Albuquerque, NM) — The 2018 session of the New Mexico Legislature won plaudits from across the political spectrum as a one of “bipartisan” successes. Unfortunately, when the Rio Grande Foundation’s analysts sat down to take a close look at the votes taken by legislators of both parties for its 2018 Freedom Index, they found that “new money” led to votes for bigger government. Not only that, but several memorials and resolutions passed that set the stage for higher taxes and more spending down the road. The Foundation’s “Freedom Index” ratings put HJR 1, the effort to tap the Permanent Fund for an expansion of pre-K programs, as the worst single proposal this session. Several other bills merited negative ratings, including the budget, which contained numerous unfortunate provisions — including $10 million for a new hangar at Spaceport America and unnecessary raises for government employees. 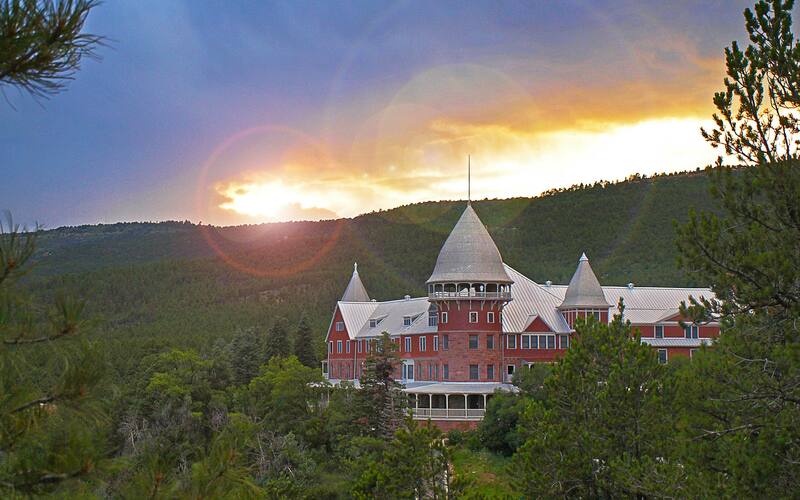 Notably, the legislature did very little to address New Mexico’s myriad economic challenges. A right-to-work law, as well as other regulatory reforms, were killed in committee before receiving floor votes. Revenue-neutral tax reform, pushed off the agenda back in November, was not reexamined. Even at the outset of the 30-day session, disappointment loomed. The lack of willingness to tackle New Mexico’s economic issues head-on only worsened as bipartisan votes were taken to raise taxes on pet food, study a Medicaid “buy-in” option, and bail out the economically struggling Four Corners area by coercing energy companies to invest in the region. While the session as a whole was disappointing, there were some who stood up for taxpayers and free markets more often than their peers. The highest performer in the House of Representatives (and overall) was Rep. Yvette Herrell (R- Alamogordo). In the Senate, the top performer was Bill Sharer (R-Farmington). Other top lawmakers included Sen. Greg Baca (R-Belen), Rep. Cathrynn Brown (R-Carlsbad), and Rep. Zach Cook (R-Ruidoso). Top performers among Democrats included Sen. Jacob Candelaria (D-Bernalillo), Rep. Miguel Garcia (Albuquerque), and Rep. Nick Salazar (Ohkay Owingeh). 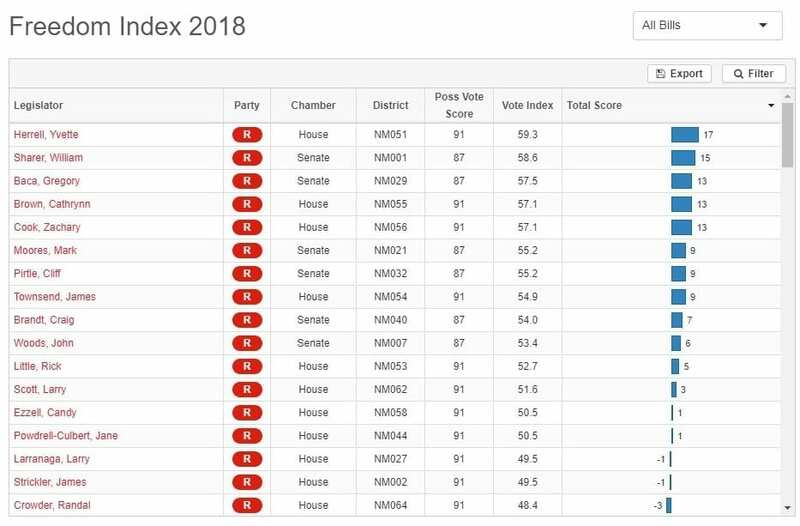 Poor performers were far more numerous this session, but the very worst in this year’s Freedom Index was, surprisingly enough, “moderate” Sen. Mary Kay Papen (D-Las Cruces). Rep. Sheryl Williams-Stapleton (D- Albuquerque) was the lowest-rated legislator in the House.